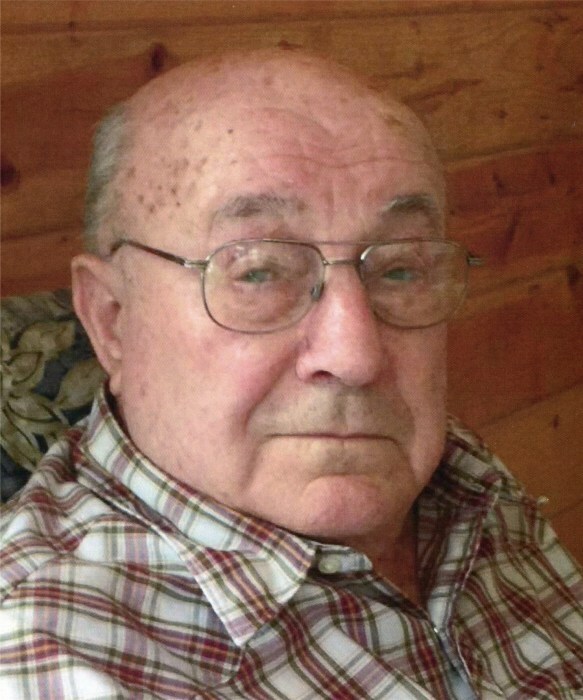 Gerald Joseph Terhaar, son of Ben and Anna (Zinner) Terhaar, was born on August 25, 1921, on a farm near Pierz, Minnesota. He attended school in Grove Lake before enlisting in the Army in the summer of 1942. Gerald was deployed to the Normandy region of northern France, right after the initial invasion. His work involved automotive mechanics, signal corp., and cutting hair. He was honorably discharged in October 1945. After returning from the military, Gerald began farming east of Glenwood. Over the years he was involved in custom farming throughout the Glenwood area, including running his own acreage around Glenwood. Gerald was united in marriage to Rosella Bryce on September 15, 1947. They made their home on a farm east of Glenwood. After retirement Gerald and Rosella made their home in Villard, and later Gerald moved to the Villa in Glenwood. Gerald enjoyed playing the concertina, and his wife Rosella, played bass guitar. Gerald also was involved in Square Dancing, restoring old tractors, and fishing. Gerald continued to play the concertina up until 3 months prior to his passing. He was a long time member of St. Bartholomew and Sacred Heart Catholic Churches, where he ushered for 50 years. He also belonged to the Knights of Columbus and served as chairman of the Glenwood Township Board for a number of years. Gerald died on Sunday, July 8, 2018, at Glenwood Retirement Village having lived to the age of 96 years. May his memory be blessed. Gerald is survived by his son, Steven, (Kathy) Terhaar of Plymouth, MN; two grandchildren, Jenifer (Thomas) Bond of Austin, Texas, and Robert (Andrea) Terhaar of Astoria, NY; great-grandsons, Parker, Ethan, and Hudson, all of Austin, Texas; four sisters, Ruth Stepan of Brooten, Bernice Klein of Breckenridge, Barbara North of St. Cloud, and Anna Marie Raneta of Garden Grove, CA; two brothers, Bernard (Shirley) Terhaar of Rogers and Kenneth (Virginia) Terhaar of Brooten; a sister-in-law, Shirley (Mrs. Oscar) Terhaar of Brooten;along with many nieces, nephews, other relatives and friends. Gerald is preceded in death by his parents; his wife, Rosella in 2016; three brothers, Richard Terhaar, Oscar Terhaar, and Clifford Terhaar; and a sister, Ester Popelik.